If you’ve already enjoyed our video of the Disney Dreams! World Premiere, filmed from the middle of Central Plaza, then prepare for a whole new angle on the dreams. The next evening, for the show’s 1st April Opening Night and first two public performances, we waited with the eager crowds for almost an hour before the show began to grab a spot right on the front row. Standing here, at the foot of the bridge to Sleeping Beauty Castle, the projections are clearer than ever, the pyrotechnics thrillingly close and the fountains towering overhead! And with the gasps and cheers of the larger crowd, our second complete 1080p HD video of the show gives you a whole different atmosphere with the 20th Anniversary nighttime spectacular, too. The view isn’t necessarily “better” than elsewhere, just different. That’s the beauty of this show: you get a great view from anywhere in front of the castle, and there’s space for around 15,000 people. It’s huge. So sit back as we invite you there, to the Opening Night of Disney Dreams!. What can I say? Fantastic “Dreams”, great angle selection, stunning music,…-I think I am starting to be greedy as I want the soundtrack just a few days after the premiere, besides who can ask for more than HD cameras bought just for the occasion, thanks DLRPToday! You’re the best! Disneyland Paris has finally delivered a nightime show that can rival Fantasmic and Reflections of Earth! Great to see, excellent work! ….. Having seen World of Colour in person a few times they have a good bit to go to get to that standard but still an unbelievably good job! Will really add to the Disneyland Paris guest experience! It is so good I wish I had missed the last ride on Big Thunder Mountain for a better view. Better than Wishes, Enchanted Fireworks & Halloween night 2007. PS: Thanks to Sky & DLP for the free tickets. Times are hard & it’s the only way we can get to DLP these days (if one happens to be passing). Is this just for 20 year celebration ?
. I’m simply amazed about the Disney Dreams show….it is absolutely stunning and magical. 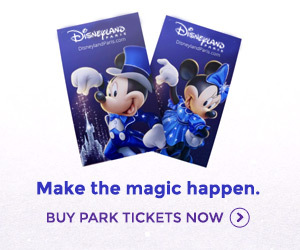 I can only advice every Disney fan to go there as soon as possible – it is a show not to be missed! Is the show will be in the summer too? When is the show time in summer? Fantastic show, its a mix of Wishes, ,World of color and Fantasmic! put in to one. don,t care It,s a copyright of The Water show in the Efteling in The Netherlands, because that show was their first. it,s a wonderfull Disney spectaculair! even The most American Disney fans think it,s not.